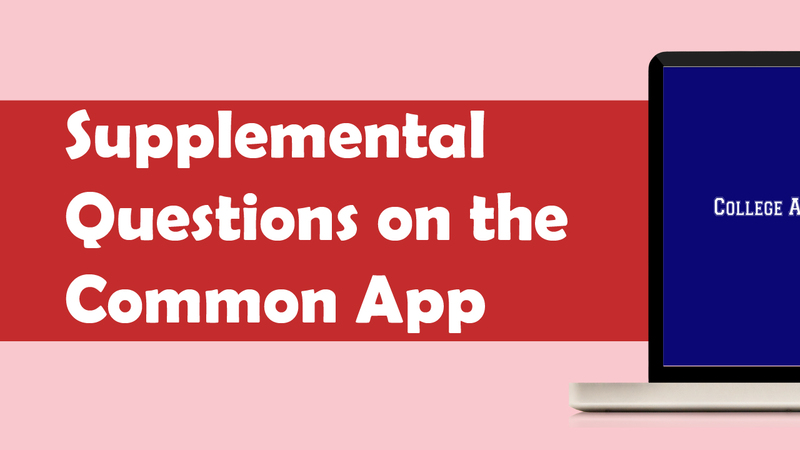 Also known as the College Specific Supplement, the Supplemental Questions to the Common Application give students an opportunity to tell admissions officers exactly why they want to attend their school. They also give schools the ability to differentiate themselves from other colleges and universities also using the Common Application (which is designed to be…”common”). Here is a video tutorial on Youtube, click here to view How to Answer the Supplemental Questions on the Common Application if you are not able to see the video below. So, most of you have heard of the Common Application. which they call the college specific supplement or the supplemental essay to the common application. most of us don’t have the time or the money to do this. each of the schools on your list. you are only going into this kind of half effort. see how the schools offer your major. Or, is it a minor? do they have it with small classes? Or, large lecture halls? Will you be in labs a lot? What are the teachers like? What are their backgrounds? Would you travel abroad? Look into the travel abroad programs. school’s where the undergraduates wasn’t based on research? Or, do students go on hiking trails? Or, do they volunteer? See if there are clubs that you can join. figure out if there’s a school motto. on campus? What is it all about? And maybe not all the answers are on the website. Another great thing to do is look through campus college guides. US news and world report, The best colleges is also a really good one. who are either at that school or have just graduated from that school. thing i want you to know is to not leave this research until your senior year. what’s important when college comes around. they don’t want to be common. So happy to hear that Anna!